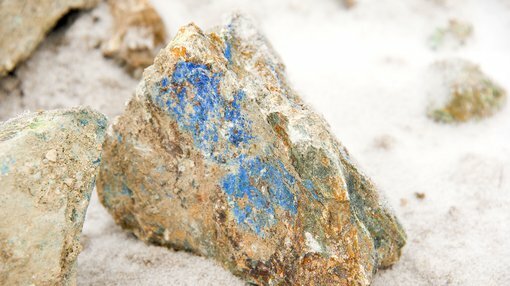 Kopore Metals Limited (ASX:KMT) has announced the final results of its recently completed airborne magnetic and EM survey, and the commencement of a soil sampling program over the target areas, at its Kalahari Copper Belt projects in Botswana. 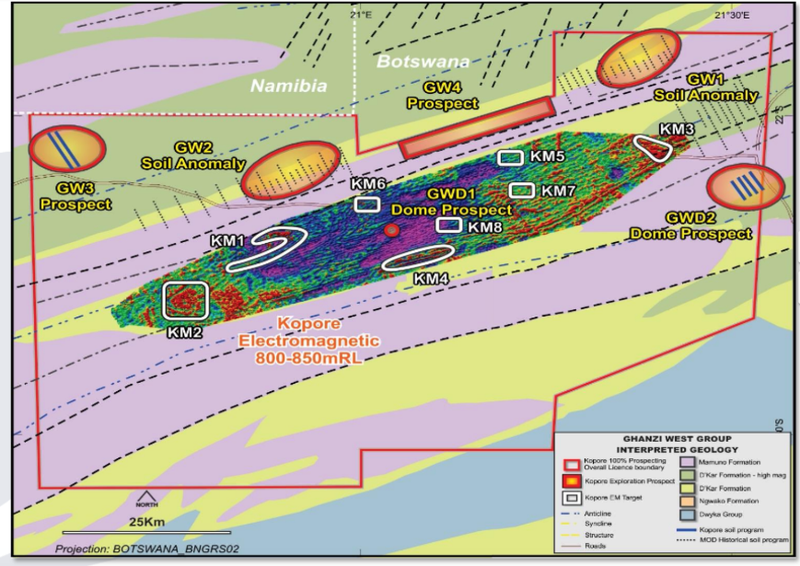 The survey results identified four additional EM bedrock conductor target areas, for a total of eight EM conductor zones identified over the GWD1 prospect (labelled as KM1 –KM8 below in the map below). The eight identified EM conductor target areas range from 200 metres up to 11 kilometres in strike length and from shallow depths below surface (<50 metres) to deeper targets (>250 metres). In response to the findings, the company has begun an accelerated soil sampling program over the high-priority KM3 conductor zone and plans to move to the KM1 proposed anticlinal conductor zone in early Q2 2018. KMT is also working on the design of a ground EM geophysical program across the highest ranked KM1, KM2 and KM3 targets, which should provide it with additional resolution and assist in drill targeting, with a stratigraphic drilling program to commence upon receipt of government approvals in Q2 2018. In collaboration with geophysicist Kim Frankcombe, KMT has prioritised the eight identified conductor zones based on geophysical characteristics, geological interpretations and field observations and designed a staged exploration program. Continued field geological reconnaissance programs at Kalahari have confirmed the presence of the important D’Kar formation at surface across sections of the GWD1 Prospect. Finding evidence of the D’Kar formation at surface is a positive sign for the prospectivity of KMT’s tenements, as the formation is known to host most of the mineralisation including the substantial and regionally proximal Zone 5 (Cupric Canyon Capital) and T3 copper-silver (MOD Resources Limited) projects. Managing Director Grant Ferguson commented on today’s news, “Our recently completed airborne geophysical survey has exceeded our expectations with the generation of eight large conductor zones and geological information across the 1,091km2area tested. “This program supports the acceleration of our exploration program with EM targets of potential regional scale to investigate, within four months of completing the Metallum/GET transaction. 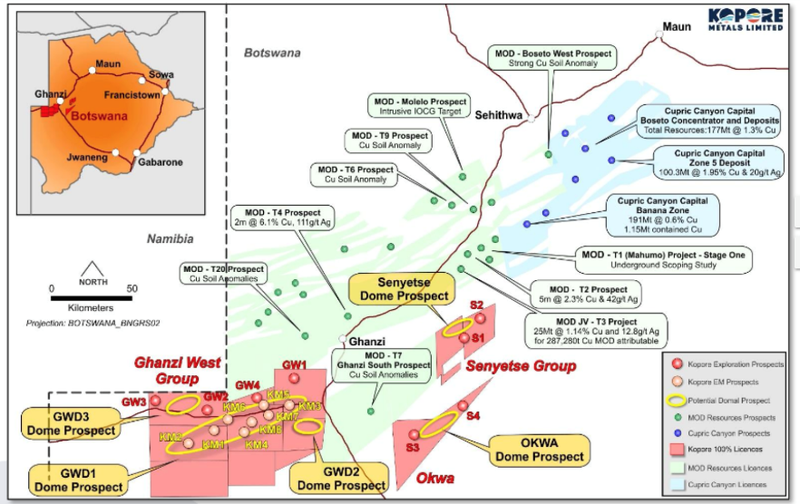 “The scale of these new conductor zones coupled with geological information, confirms correct Kalahari Copper Belt lithologies and possible structural trap site areas for potential mineralization. “Kopore has fast tracked its exploration program, attained the appropriate environmental approvals to initiate a soil sampling program and commenced the initial soil sampling program over the first of these major conductor zones,” he said.